From curvy-wurvy buildings to upside-down houses, this photo collection of architectural oddities around the world will make your head spin. The single biggest architectural project here is Brasilia, the capital of Brazil. The entire downtown was designed by Oscar Niemeyer in the late 1950s and had a totally futuristic style, that to this day remains almost UFO-like. But there are lots of individual buildings and even small dwellings that blend the lines between art and architecture for their curvilinear forms or way they flow into the landscape. Netherlands residences shaped like cubes, the Kubuswoningen, or Cube Houses, are a set of innovative houses designed by architect Piet Blom in 1984 in Rotterdam. There are 38 small cubes and two so called “super-cubes,” all attached to each other. 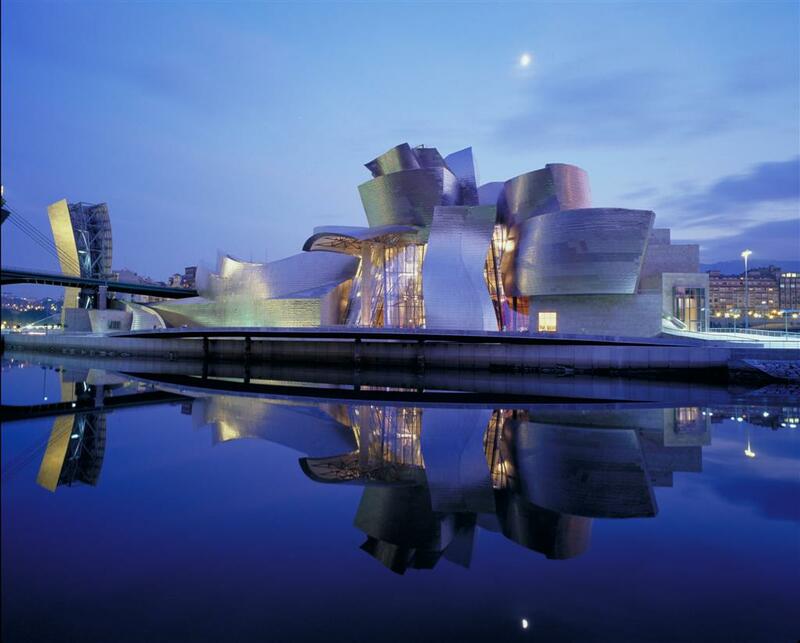 Frank Gehry’s modern art museum in Bilbao, Spain, is often lauded as one of the most fantastically designed buildings in the world. An upside down house in Trassenheide in Germany. Even the furniture inside is stuck to the ceiling. This amazing shell-shaped house was built as a family home in 2006 and is full of natural glass mosaics that reflect colored light into the rooms. Free Spirit is a campground with style—you stay in suspended spherical treehouses in the temperate rainforest of Vancouver Island.